How about a quick, simple,and trendy Valentine idea? Lots of trends this year incorporating hand drawn, painted, and lettered elements. It's old school art class all over again, and I love it! Thanks for stopping in! Be sure to click over to Heather's blog to see the cute card she has to share today! So beautiful! 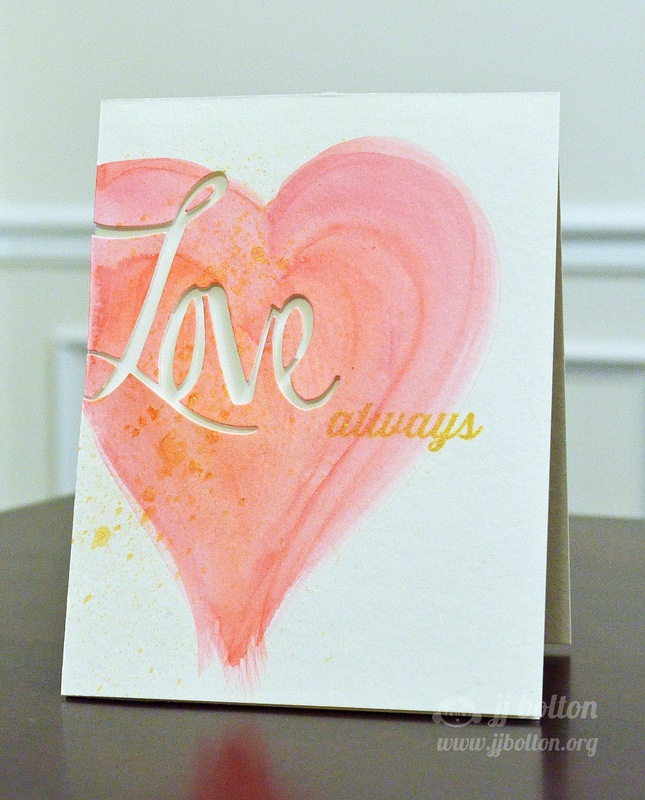 Love your water colored heart accented with gold! All kinds of fabulous! I adore the peachy heart, the negative "love", the drops of gold...Pinned it and am going to dream about making one myself! Thanks so much for sharing and inspiring! Fantastic, wonderful artsy card. I love the "love" reversed out of the heart. Beautiful job on the watercolor as well. This absolutely ROCKS. That is all. LOVELY...awesome design. You have such great skills. Another really stunning card, JJ! 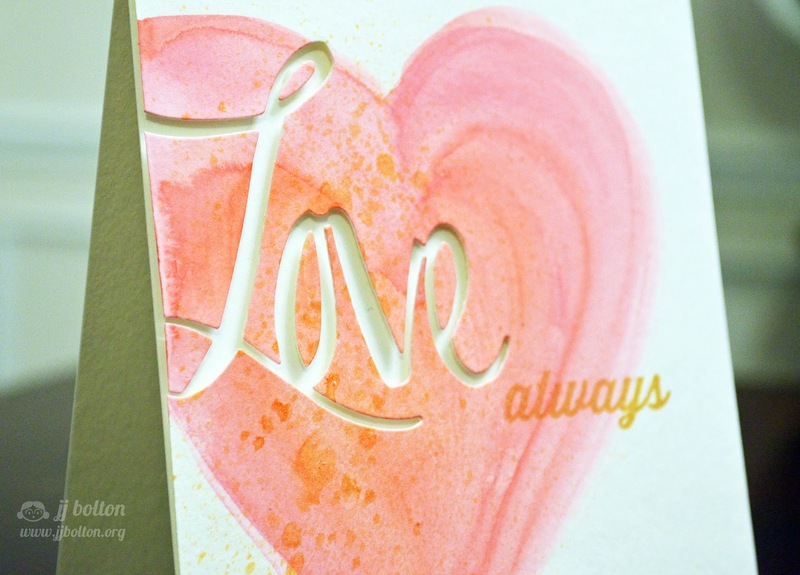 I love how you added gold splatter to the pink heart...such a perfect color combo! Great idea to use your negative die, too! Absolutely gorgeous! Rocking the gold again, and oh em gee, that heart is perfection. WOWZA! This is soooooo amazing! Loving the gold touch!